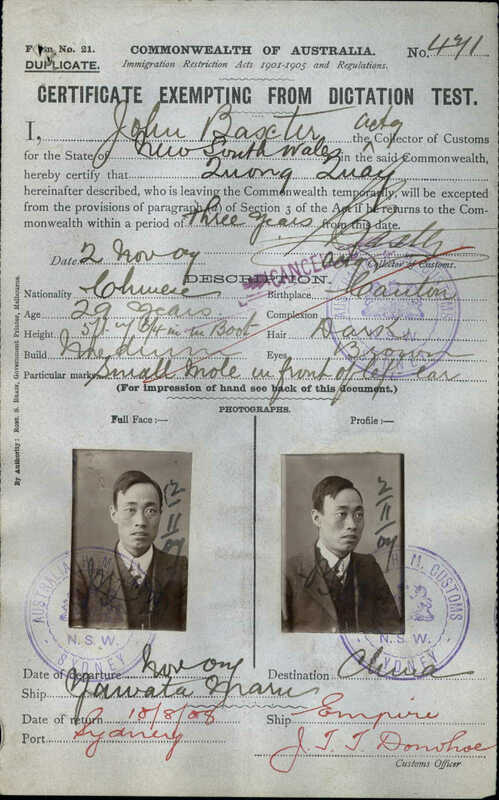 A little note about searching for Chinese names in the National Archives’ RecordSearch database, specifically in early 20th records of the NSW Collector of Customs. There is a consistent transcription error in item descriptions where capital Q has been transcribed as capital Z. This means that names like Quoy, Quan, Quay, Quock have been entered as Zuoy, Zuan, Zuay, Zuock. The examples I’ve come across are in ST84/1, where Customs Inspector J.T.T. Donohoe’s rather lovely handwriting seems to be the problem. Something to remember if you can’t find records under the correct spelling.